We hit the water with such force that it felt like every bone in my body shattered as I hit the dash at full impact. White searing pain tore through me. I screamed only to have my lungs fill with water. I was dying, and I wished it would come quickly. My lungs burned for air and my body screamed for release from the agony. I couldn’t see anything as blackness surrounded me. I needed to see Zee one last time, but my body shook as if electricity were racing through it, then all my pain was gone and a feeling of nothingness consumed me. Light shone in the distance, like a torch hovering over a well, bouncing off rocks, only blinking mildly. I finally understood what people meant when they claimed to have seen the light before passing. I felt the sensation of floating and yet nothingness. My body moved closer to the light. It was getting brighter and more intense. I wanted to shield my eyes, but the movement wasn’t allowed. I wasn’t whole, yet I felt the same. The light made my body feel warm, not warm as in fuzzy and nice, but warm as in I needed shade. The signs of a day starting out mild, but the warning that it would be hot. Hot is what I started to feel. Nothing seemed right. I wasn’t floating up or down I just seemed to be still. As the light sent out burning rays and the agony of it pierced me, balls of flames started to lick my feet and I started to scream. I watched my feet and legs appear as the fire burned them. The higher the flames went, the more of myself I could see and the long hands that stretched towards me, pulling me down. 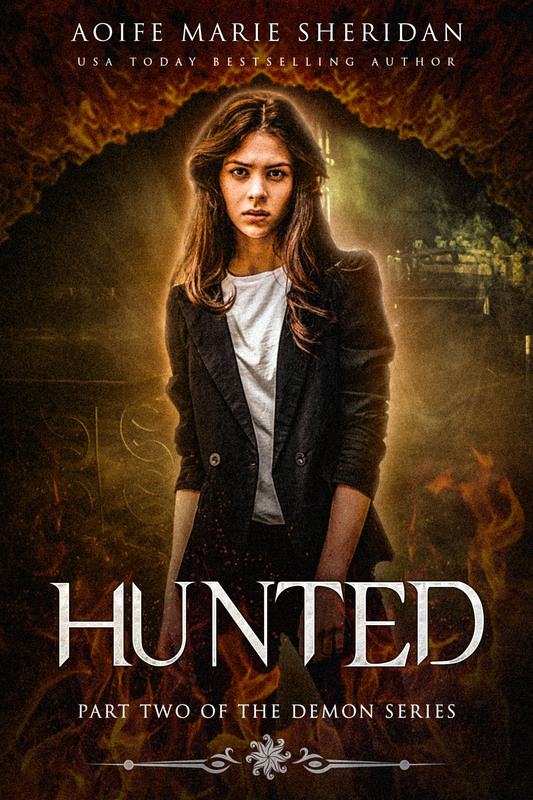 My throat let out a scream as I fought to move, but I had nothing around me to grab onto. My skin was burning, melting off my body. The bony fingers of the dead dug into my burning flesh. I was nearly consumed in the flames before I realized my name was being called behind me. I turned to see Zee with his arms outstretched. His mouth was moving, but I couldn’t hear as the roars still ripped from my throat. Then his arms were around me, pulling me out of the flames. My body was screaming and then all was gone. I opened my eyes. My body shook with the cold. My vision filled with Zee’s chest as he held me firmly against him, rocking me gently, like a mother would a distressed child. I couldn’t speak as my teeth chattered. My body didn’t burn anymore. I was so cold, so numb. I didn’t look around me, too afraid of what I would see. “Flames… hands… my flesh… it burned.” I knew I was rambling, words of utter disbelief falling from my blue lips. “Light… then flames,” my words choked on a sob. I was going to hell. I was going to hell. I was a bad person. No heaven. No Sam. Hell. The arms that were wrapped around me, I tried to push away, but he hung on to me, pulling me closer. He didn’t understand; he was good, an angel. I shouldn’t touch him, I was bad. Zee’s arms loosened and I could feel his body shift as his eyes fell on my face. I didn’t meet his eyes, but crawled out of his lap. He didn’t stop me. He didn’t look away from me either. I sat on all fours, my hair wet, hanging in front of my face as my body shook uncontrollably. Then I started to laugh I met Zee’s confused stare and my laughter turned hysterical. “Abigail?” He moved towards me, worry etched on his face, but I let out a roar, making him stop. He was beside me before I could blink, holding my numb face, his anger making his eyes darken. “Don’t ever say that. Ever!” he said. I was waiting for him to drop his hands, run from me, and understand his mistake of giving up everything to stay with someone like me, but he didn’t. Instead, he moved towards me, his breath visible in front of my face. I could hear sirens in the distance, but my mind was occupied with Zee. I closed my eyes as his face was only an inch from mine. His lips kissed my left eyelid and then slowly, moved over to my right one. The motion was gentle, the kiss so filled with despair and love that the tears rolled from my closed eyes and warmed my cheeks. “I’m so sorry, Abigail. I truly am.” His words were so sad, so heartfelt. My eyes opened and I could see tears in his eyes. One fell, and I watched it make a path down his perfect, clear skin. My hand reached out and caught the tear before tracing his jawline. I wanted to tell him that I loved him so badly and tell him how I didn’t deserve his tears, but my own eyes blurred over again with sorrow. “Are you okay?” The shouts of a man making his way down the bank pulled us apart as I took in the scene up on the bridge. People had gathered, watching us, some with their phones out taking photos. A fire engine sat on the bridge, its lights flashing. The man reached us, taking in our unmarked bodies, not as much as a scratch. Paramedics arrived. Two of them fell to their knees in front of me, shining a light in my eyes, but everything felt surreal, as they examined me, shaking their heads in disbelief. The tears continued to roll down my face. My body never moved as they searched me for something broken or something torn, but I knew they would find nothing. I felt so empty, so devoid of emotion, even as I cried. Father Peter filled my vision as he raced down the bank. Two policemen tried to stop him, but he pushed them away. “She is my daughter,” he said, causing some serious confusion amongst the men. He was a priest; they couldn’t marry and most certainly, couldn’t have children. He reached me and my body was crushed against his. He pulled back, his mouth moving, but I couldn’t focus on his words. My mind was filled with images of hands pulling me, flames burning me and Zee saving me, yet again. I was pulled along until we reached the car. My head was ducked down as I sat in the back of Father Peter’s Car. Zee slid in beside me, pulling me into his side. I didn’t stop him. I didn’t do anything. Father Peter, started to drive, “Abigail, please!” he said. I could hear the fear in his voice. “She’s in shock. Give her some time.” Zee’s chest rumbled as the words left his mouth, but I didn’t respond. I stayed silent the whole drive back to my apartment. 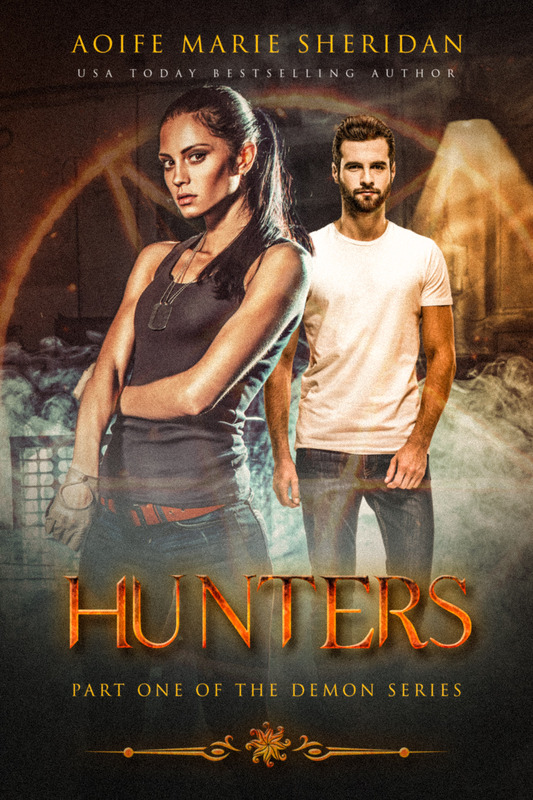 This entry was tagged hunters, paranormal, Release Day Blitz, romance, ultimatefantasybooks.